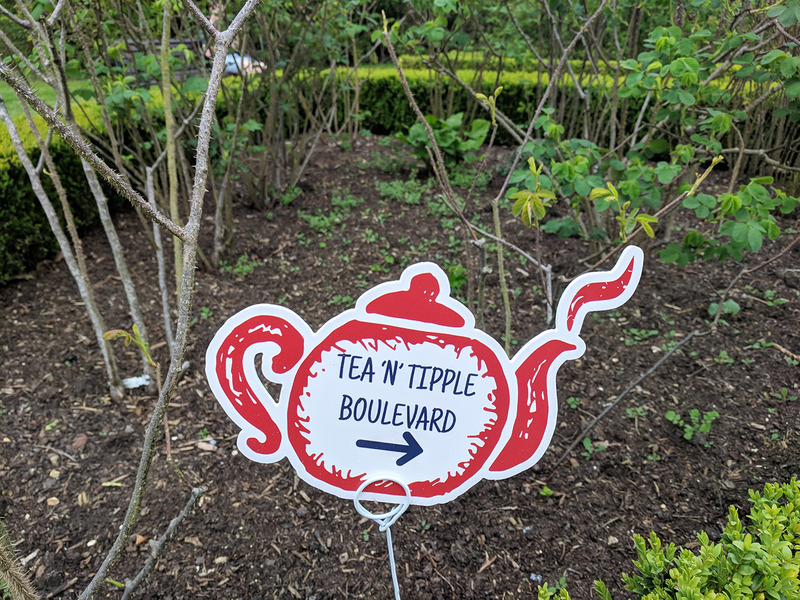 As many of you already know, I pretty much run on tea. Yorkshire Tea, to be precise. And so winning tickets to celebrate the greatest day of the year at the first ever Fes-Tea-Val was like Rachel Green being given an unlimited store card for Bloomingdale’s (yeah, I may be spending my day off bingeing on Friends…). 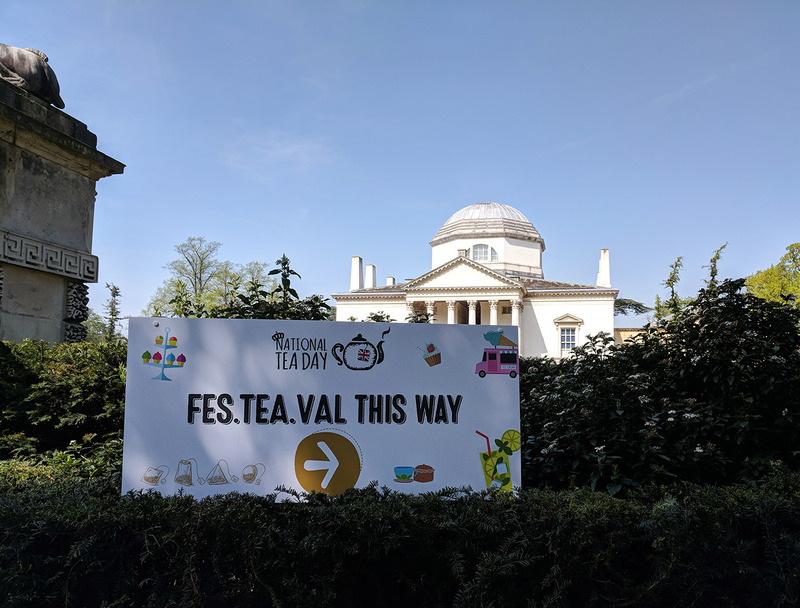 As the name suggests, it’s basically a huge festival celebrating all things tea. 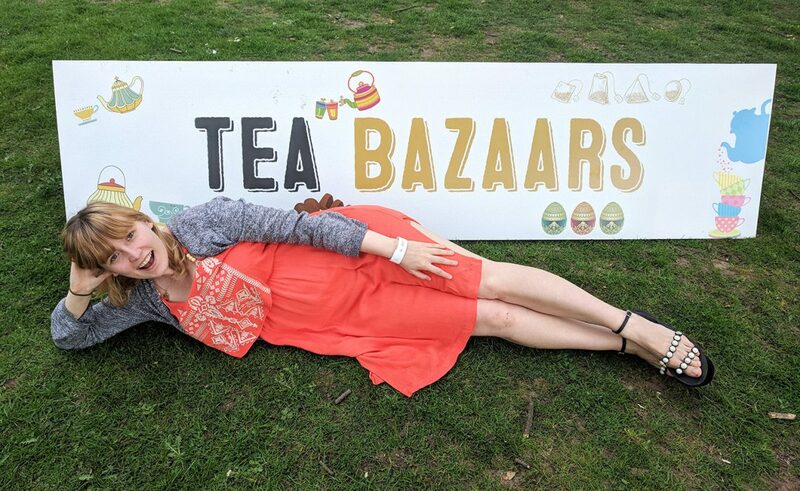 It’s actually the UK’s only dedicated tea festival, which sounds absolutely bonkers because tea = life. 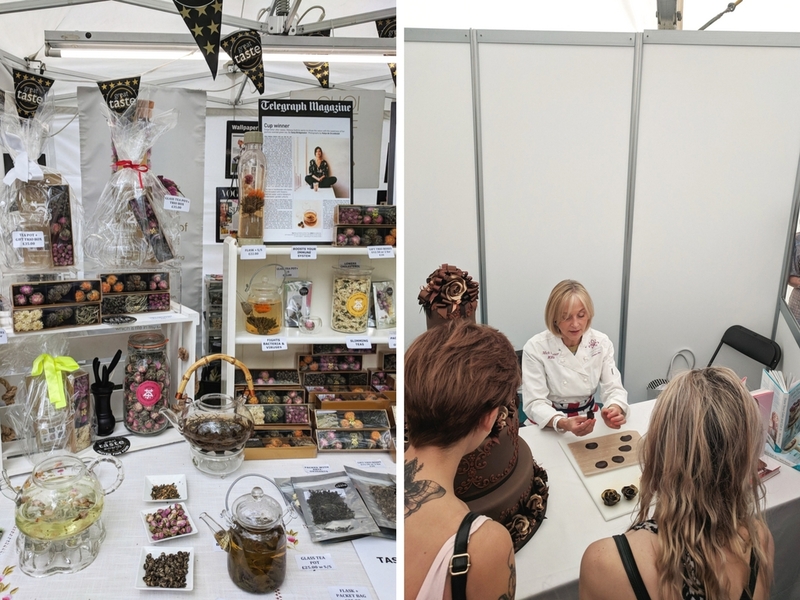 Across the two days there were tea demonstrations, masterclasses, food, live music, and heaps of stalls ready to introduce you to your new favourite gadget/tea brand. Most importantly, there was also lots and lots of free samples. 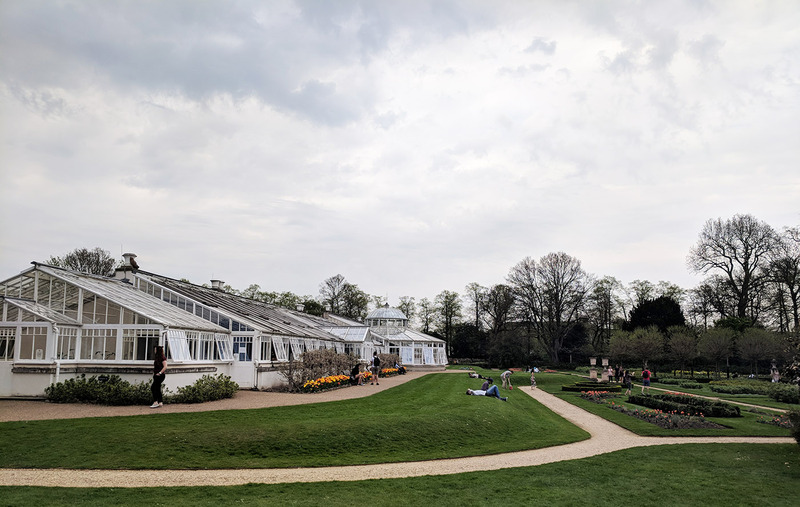 We got to try everything from gin made with Yorkshire Tea, to cake infused with chai. 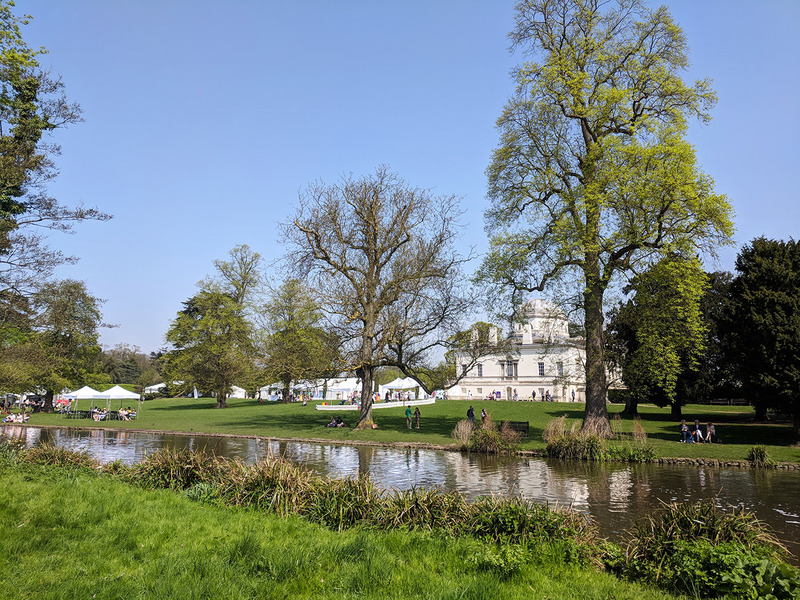 It was an incredibly civilised affair, but with so much for us to try out and do. I feel like we barely scraped the surface of everything that was going on because we didn’t realise you had to book certain things in advance. 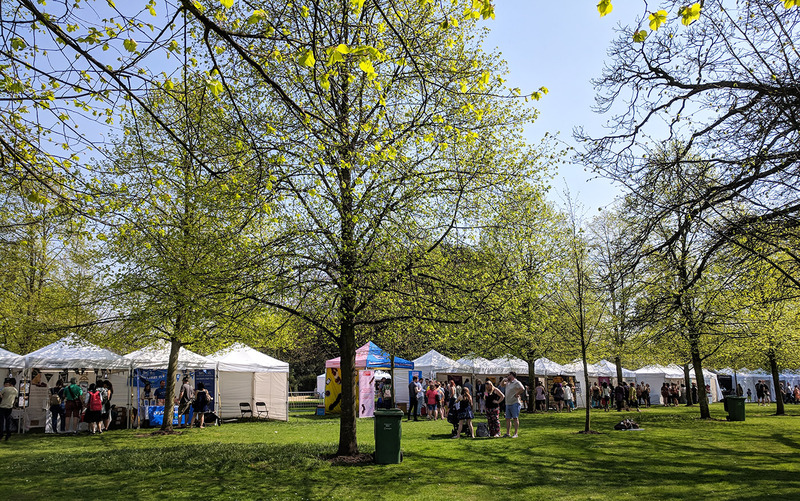 And also, on the way out we just kind of realised we’d completely neglected two entire parts of the festival, which was a bit of a ‘kick ourselves’ moment. As well as all the tea we could get our hands on, there was also lots of other food and drink to tuck into. 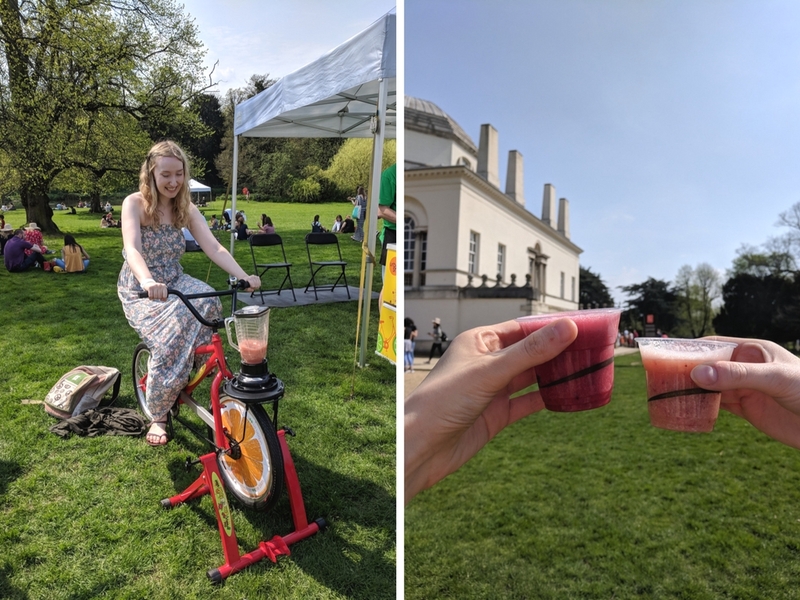 One of these highlights was a free juice – all you had to do to get the free drink was blend up everything yourself via pedal power. Apparently this is a big thing at festivals and events, but it was the first time I’d seen it and thought it was genius! I’ve also got to give a shout-out to this glorious vegan burger. I’m not a vegan (my friend is though), but this was out of this world. 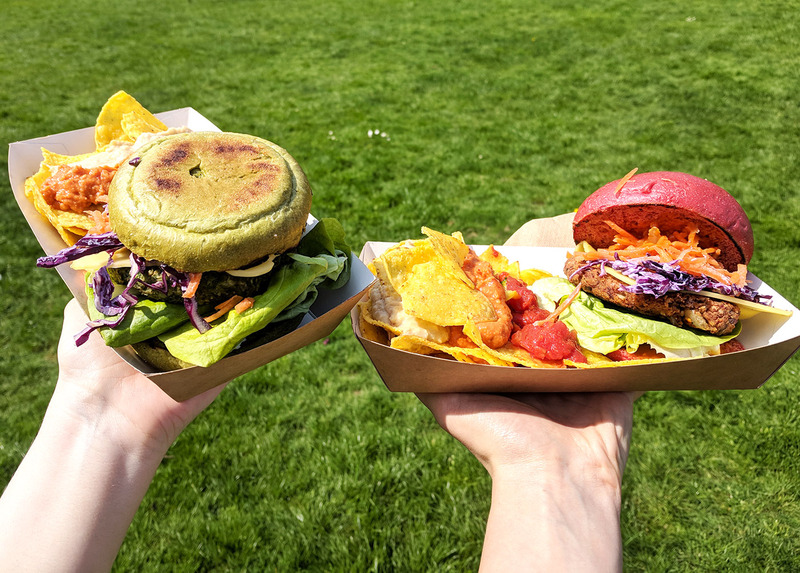 I went for the beetroot bun (the red, on the right), filled with coleslaw, vegan cheese and a thick vegetable patty. On the side we opted for a pile of nachos smothered in salsa and baba ganoush. It was pretty much the only thing I spent money on the entire day (£10.50 for the combo meal), but it was worth every penny. 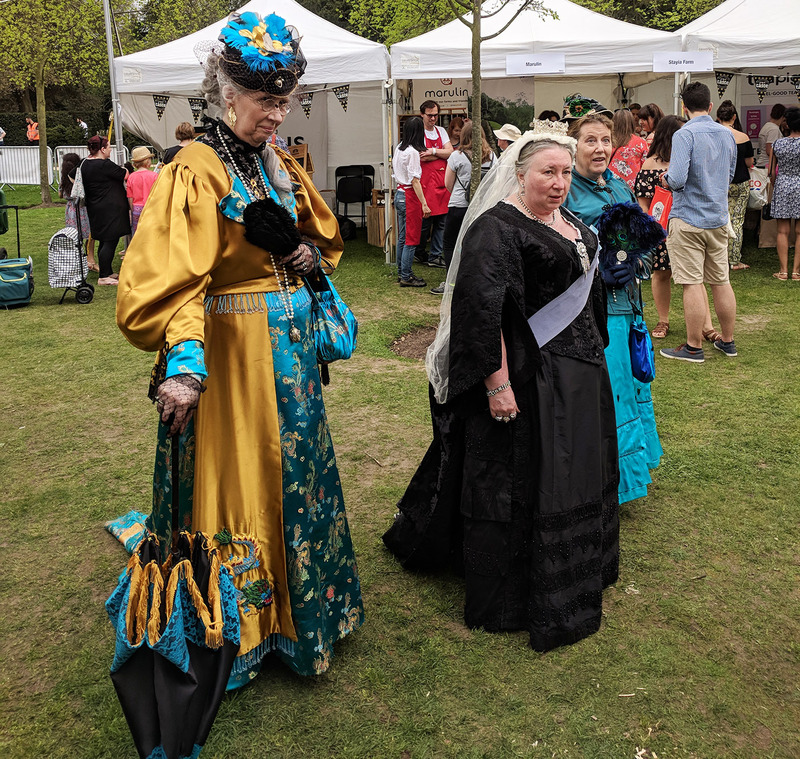 While the tea festival fun is over for this year, I’m definitely hoping the event continues next year. 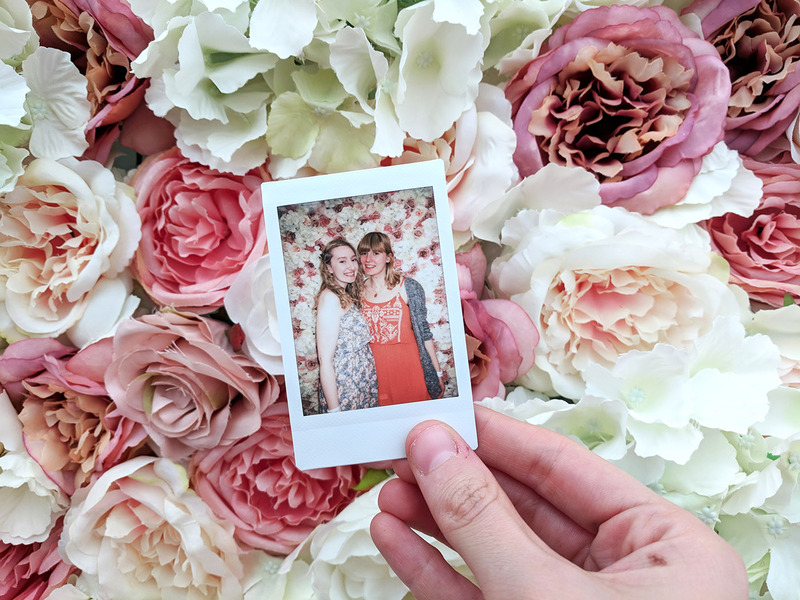 I had such a fun time with one of my favourite girlies, and I now feel sufficiently up-to-date with all that’s going on in the tea world! 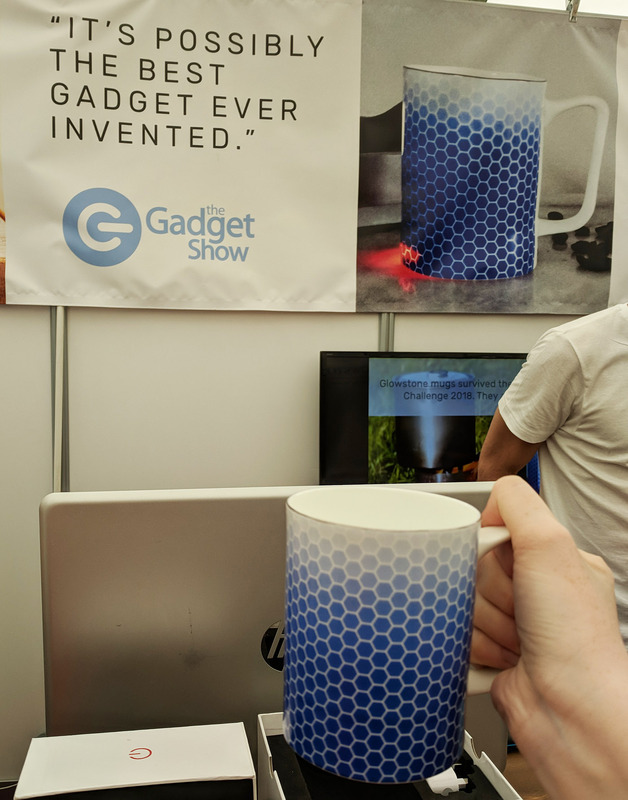 If you’re a tea lover, I hope to see you there next year! 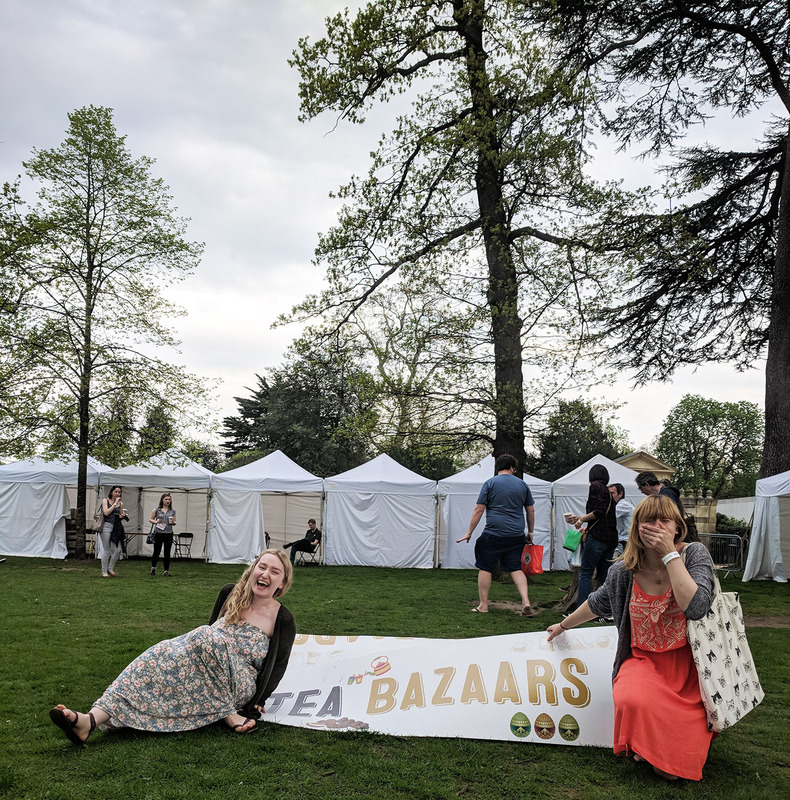 What do you think – a festival for tea?! Crazy, or genius? Let me know in the comments as I love hearing your thoughts!